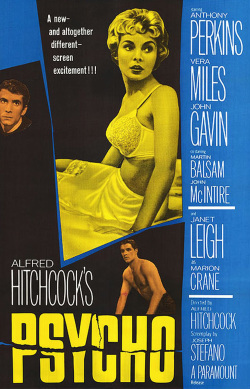 Psycho (1960) ; Psycho (1960) was one of the first slasher films. It captivated the audience with the unknown killer and made them question who it could be. It is famous for the infamous shower scene and the music that goes with it. One feature that could be of use in our OTS is the prospect of an unknown and mysterious killer, similar to Norman Bates of 'Physco' (1960) who make the audience question the identity of the killer and the motives behind the killings. Nightmare on Elm street (1980) : Nightmare on Elm street (1980) was a major success. It created 9 films and is famous for its poster figure Freddy Krueger. The franchise was such a success that it made lots of merchandise ironically enough aimed at kids. It made books toys magazines, bubblegum and even a soundtrack. 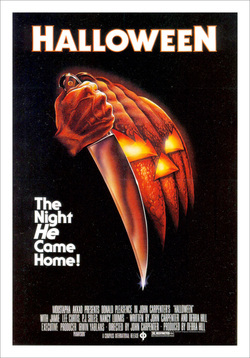 We can incorporate similar features from this classic slasher, and make our killer similar to michael myers, masking his face from the audiences view. ''The Blair witch project' (1999): Like 'Halloween' this film made a major profit costing between $500,000 and $750,000 to make $248,639,099 at box office. It is thought to be the film to revive paranormal films and was successful with viewers being on edge constantly throughout the whole film. 'Paranormal activity' (2007): This film was extremely successful as it cost $15,000 to make an gathered $193,355,800.making a huge profit of $193,340,800. Part of the reason it was successful was because of the 'Found footage' style of filming, which made the audience see the film through various video cameras, and made the film more believable and realistic. Therefore the film was scarier and more attractive to the audience. 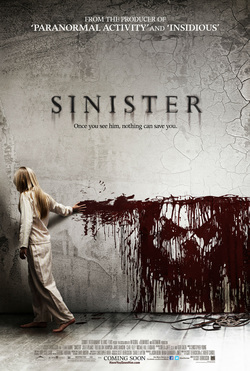 'Sinister' (2012) : Sinister was a very suspenseful film. It met key horror conventions, had multiple killings. However in this film the killer was revealed to be a supernatural creature, rather that a human mass murderer. Making the killer supernatural gave the film-makers the opportunity to provide the killer with supernatural powers, allowing for jump scares and creepy, haunting sequences. 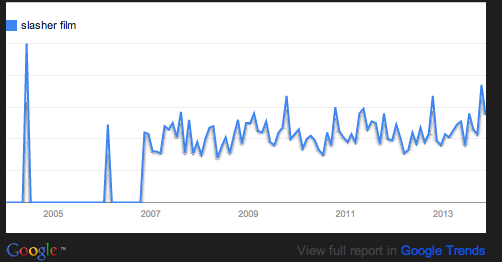 This is a chart on the interest in paranormal films. 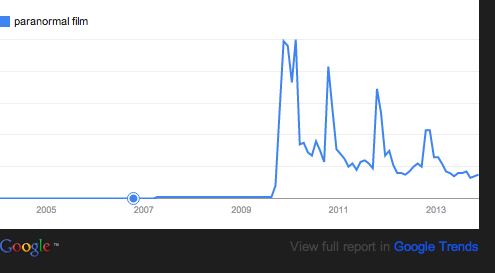 This chart clearly shows that the interest in paranormal films as dropped since its peak at 2009. This would influence our OTS as we would focus more on themes of a slasher film than that of paranormal as people want to see slasher's more.